How much do a basement renovations costs? The average cost of basement renovations $35-$55, and this is per square foot. This means if your basement is 1000 square feet then it would cost you around $35,000-$55,000. This would depend on the upgrades and materials you choose for your basement renovation. In many homes, the basement is the area that offers great potential. You can change the basement to a centrepiece of your house by remodelling the space. The basement remodelling involves different sections of the house which include: furnishing, covering windows, wall building and without forgetting floors installation. Carrying out basement installation is not an expensive task as many people may think. With Capablegroupinc.ca, it does not cost a lot for you to have their basement fully remodelled. You need not worry about any other additional cost because this cost includes all materials, designs, clean-up and all labor that is used during this remodelling process. You don’t have to mind about how much it can cost you to renovate your basement. This is because the investment returns you get from this process are worth the cost. During basement renovation process, there are different cost factors that you should consider. How much does it cost to finish a 400, 500, 600, 700, 800, 900, 1000 sq ft basement in Canada? Basement 400-500 sq. ft. average costs of $14000 – $17500, and 500-600 sq. ft. spaces cost $17500 – $21000. Pricing adjusts with remodels cost $24500 for 600-700 sq. ft., $28000 for 700-800 sq. ft., $31500 for 800-900 sq. ft., and $42000 for 1000-1400 sq. ft. Finished Basements improvements increase home value. How much does it cost to put a bathroom in the basement? A basic bathroom average cost from $10000 to $25000 Depending on the job and location. How long does it take to finish your basement? Are Finished basements counted in square footage? 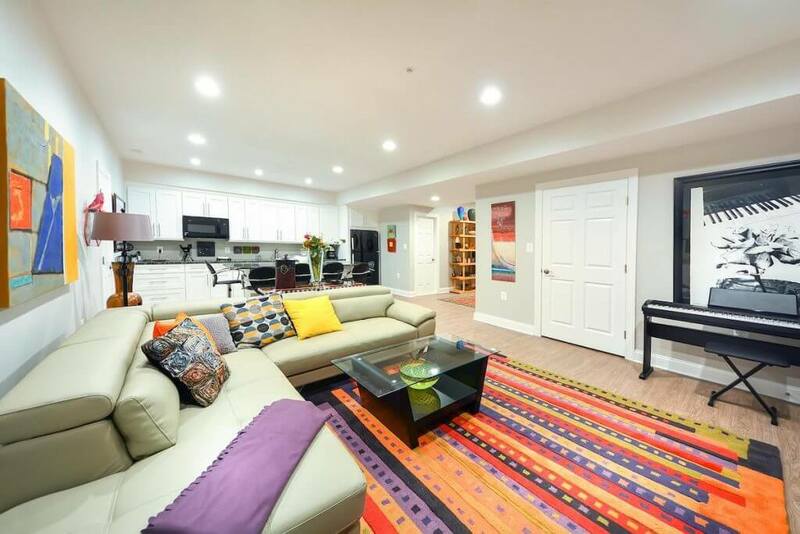 Basements don’t usually count a home’s square footage. But it can be noted separately in the listing. For those who choose to install bathrooms in their basement, then there is need to connect water supply and sewage lines to the bathroom. During this connection activity, some cost may be incurred. Hiring a plumber to do this job, purchasing materials to be used and opening walls to be able to access the required areas can be cost-effective. The permit. It will be wise for you to make sure that everything that is built and installed and what you are charged for your basement renovation is approved by relevant authorities. There some charges that you may incur during this process but they are worth the cost. Inspections If you choose to have a bathroom in your basement, then after the project is complete you are supposed to have the plumbing activity and any electrical installation being inspected to make sure things are done correctly. To have the inspection done expect to incur some charges for the inspection process. In the case that your basement had a bathroom all you needed was to renovate, the costs are a bit low compared to putting a new bathroom because only hiring a plumber is required. Installing a powder room within your basement can decrease these costs. This is possible because no plumbers to install bathtub or shower are required hence cost and time of installation is reduced. Existing walls may require cleanup and demolition. The size of the room that requires framing is another element that affects the cost. The project becomes more expensive if more walls are needed. Soundproofing of the exterior walls is another element. Different elements bring impact in your cost and the required needs for framing your new walls in your basement. Depending on your needs the drywall panes comes in different shape and are made from different materials. The cost of these drywall varies hence may alter the cost. The cost of installing drywalls ranges from $1.50 per square foot, and it is mainly based on the areas you want to install and professional you opt for. The cost increases if you choose to add texture that is sound dampening to your drywall.Soundproofed drywall mainly costs around $50 per 8×4 panel. This may cost around $50 to $100/hr to finish all installation that may be needed. More wiring is required in your basement to support more electronics and lights. Hiring an electrician who is licensed is vital if you are interested in installing outlets, overhead fixtures and other different components that may need additional wiring. For the cost that may be incurred, it will depend on the project you are carrying out. Renovations are not only limited in a way that adds basic room or bathrooms.There are other things you can do in your basement that can transform the area. Entertaining your home guest and your family members requires a basement that has been installed with high-quality Home theatre. A home theater gives a solution to all entertainment worries. You can fit a big Tv screen together with better wiring and seating in your basement. in additional a better home theatre that has the digital projector, screen, and a clear sound is worth the cost to better your basement. Do you want to turn your basement into an entertainment base? Move on with the process of establishing a wet bar during a renovation of your basement. Expect to spend some money in this process because the value of the wet bar changes according to the size, materials, and appliances included. Renovation of your basement raises the resale value of your house and also improves your living space. Adding these different features in your basement expect the value of your overall house to rise higher. Renovating your basement by addition of a bathroom and extra space brings improvement to the home and also without forgetting the happiness it can bring to your family. A house installed with a home theatre and a wet bar increase its value in the market at a higher cost. 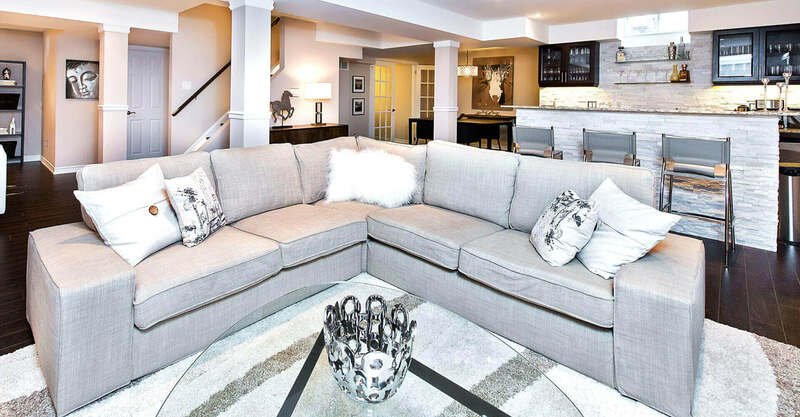 You can convert your basement into a significant room, but you need the advice of capablegroupinc.ca on how to achieve this. We at capablegroupinc.ca have more substantial experience in basement remodeling. We are capable of saving your money without ignoring the quality. Our experts have high quality and expertise to make your basement a place everyone admires. Visit us so you’ll have an idea of basement remodeling costs. The benefits you get from renovating your basement are worth the price you incur during this process.